Other features of the product include up to 200% coverage for 43 major stage CI and 100% refund at the end of the policy term for policyholders who remain in the pink of health. Notably, AIA Beyond Critical Care is also the only plan in the market that offers coverage for both 43 major stage CIs and 5 rediagnosed, recurred or repeated CIs. More than just providing pay-outs should a policyholder be diagnosed with a covered condition, the policy also offers benefits which help policyholders prevent the onset of CI conditions with the award-winning health and wellness AIA Vitality programme, provides access to independent and global expert medical advice through Medix for personal medical case management service should a policyholder be diagnosed with a CI, and an AIA Critical Assist hotline for policyholders to seek expert advice from healthcare practitioners and seek recommendations on reliable health, home and care services. 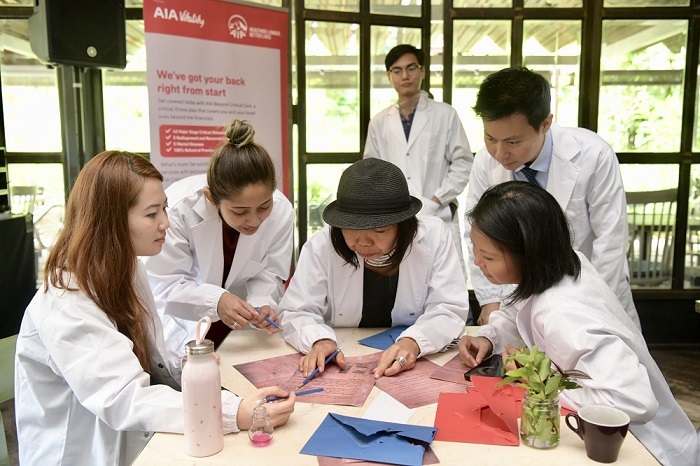 The new policy was launched amongst invited guests who learned more about the gaps that exist when it comes to CI coverage and support in Singapore through an Escape Room educational game. 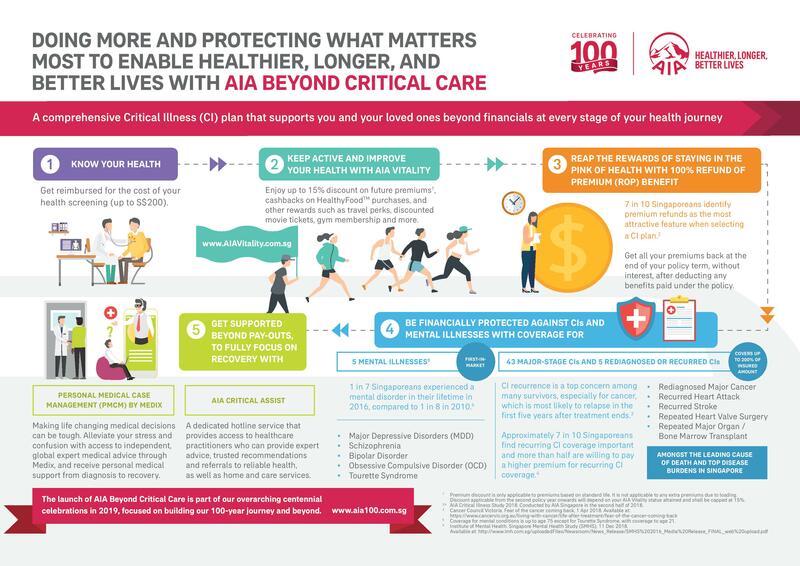 The launch of AIA Beyond Critical Care is part of the overarching centennial celebrations in 2019, focused on building its 100-year journey for the next hundred. More information on AIA Beyond Critical Care can be found here.